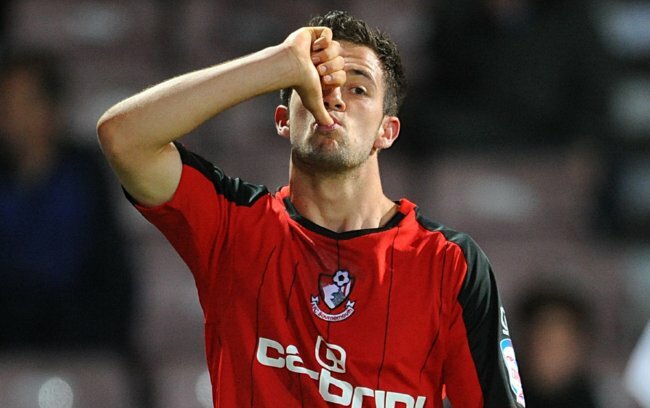 This thumb-sucking schmo here is Bournemouth striker Danny Ings, a young’n who’s been piquing the interest of a sizeable clutch of the Football League’s bigger names over the past year or so – none more so than Crystal Palace, who lodged three separate bids for the 19-year old over the course of a 90-minute friendly at the weekend…against Bournemouth. “We had some verbal offers for Danny from Crystal Palace and they were all turned down. I had one phone call before the game, one at half-time and another one following the final whistle. “The figure went up as the game progressed and was £500,000 in the end. It had started a lot lower than £500,000, but I told them he would cost at least £1 million and said he would not be going for anything less. Remember kids, nothing in the world can take the place of persistence – unless you’re shot down by a League One chairman.